This unique Fish Serving Tray is the perfect gift idea for any avid fisherman in your life. Whether it’s your Grandpa, Dad, Uncle or Brother, he is sure to enjoy serving drinks and snacks while entertaining his fishing buddies. It’s the perfect gift that any outdoors man will love. 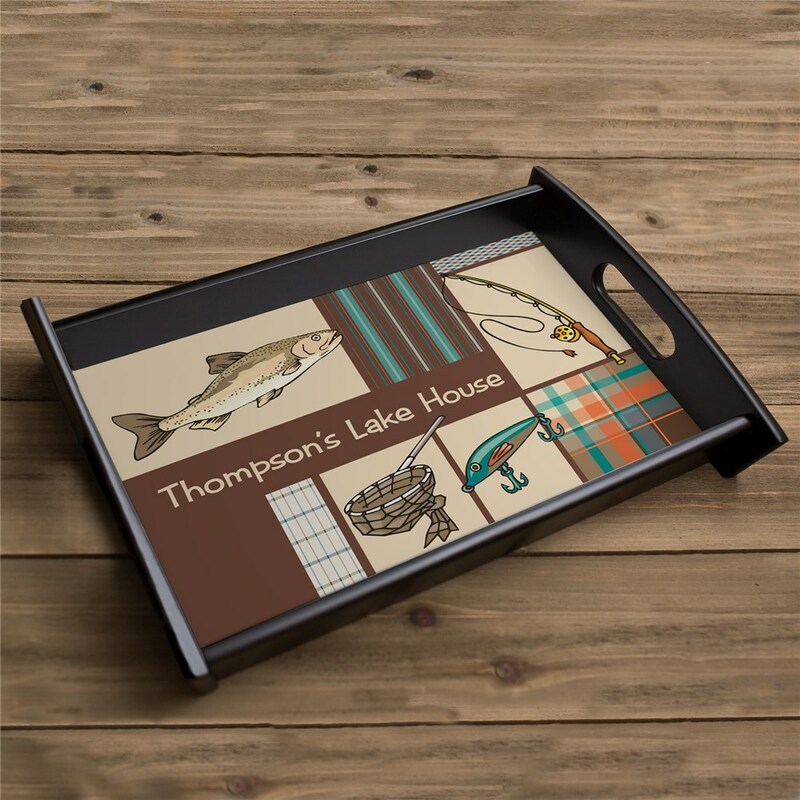 Serving Tray measures 8" x 13"
Take a look at our entire collection of Personalized Fishing and Hunting Gifts For Him. Our wonderful selection includes handsome Fishing Keepsakes such as Engraved Fishing Picture Frames, Unique Fishing Christmas Ornaments, Personalized Fish Lover Apparel and you will even find our matching Personalized Fisherman Cutting Board and Personalized Fisherman Doormat. All gifts make excellent Personalized Gifts for the Fish Lover you know.